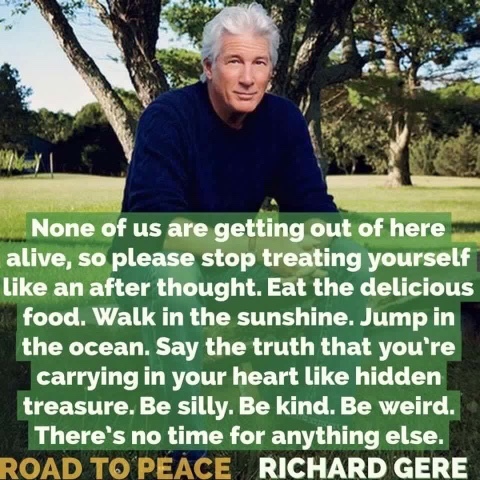 Sometimes you got alive dangerously, I read a fabulous quote the other day from Richard Gere and you know what they are words to live by. 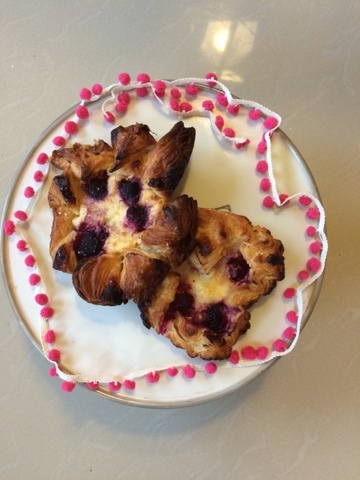 So as a result my raspberry pinwheels came to life. 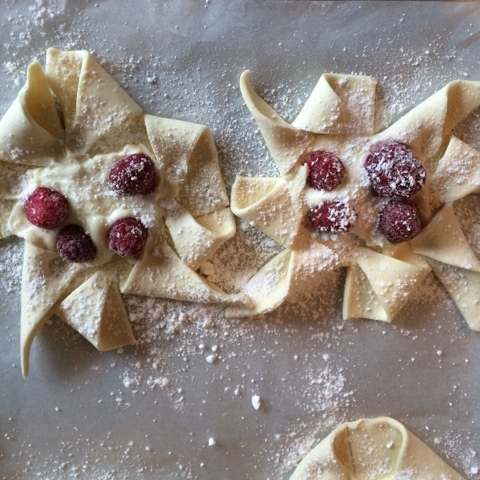 Unravel your puff pastry and cut four even squares out of it using a pizza cutter, the cutter makes this a speedy job. 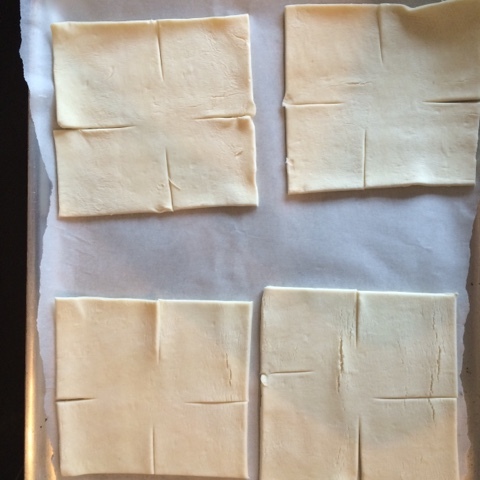 Then on the corners of the squares cut the pastry 1/4 of the way in. Put the pastry aside and get stuck in with your filling. Mix the cream cheese well to achieve a smooth consistency then one by one add in the vanilla, sugar and lemon juice. 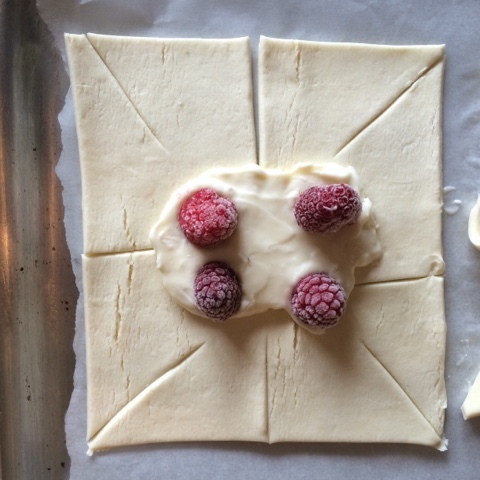 To each pastry square add a dollop of the cream cheese in the centre then slightly spread out. 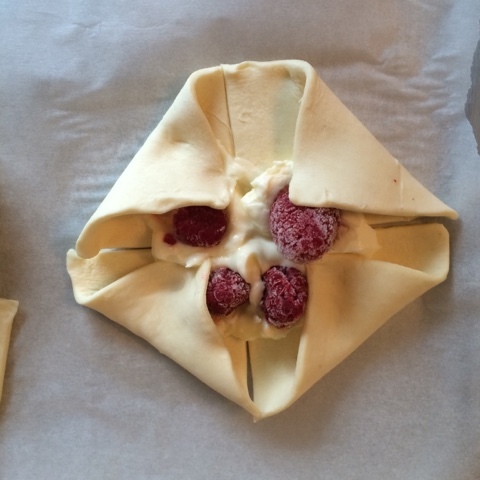 Add four raspberries to each square then taking a corner of each of the pastry squares turn it in to the centre, pressing it gently onto the cream cheese which will act like a glue!!!!! Once all the squares have been fiiled dust generously with icing sugar and pop in the oven. When fully baked and slightly cooled dust again with icing sugar and detour with a hot cup of tea!! !